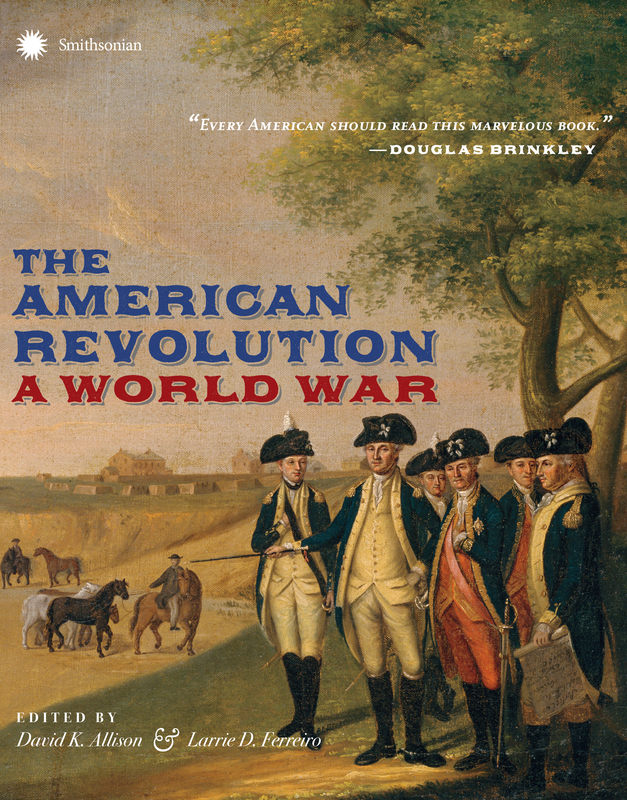 Smithsonian Books has released The American Revolution: A World War, a collection of essays edited by David K. Allison and Larrie D. Ferreiro. The book posits that contrary to popular opinion, the American Revolution was not just a battle for independence in which American colonists fought to overthrow their British rulers. Instead, the 22 essays in the book reveal that the American Revolution was a much more complicated conflict. It was an extension of larger skirmishes among the global superpowers in Europe, chiefly Britain, Spain, France and the Dutch Republic. Amid these ongoing conflicts, Britain’s focus was often pulled away from the war in America as it fought to preserve its more lucrative colonial interests in the Caribbean and India. The book, the illustrated companion volume to the Smithsonian’s National Museum of American History exhibition of the same name, touches on these and other topics, including overseas empires, economic rivalries, supremacy of the seas, European diplomacy and more. The book’s incisive essays, full-color images and topical sidebars underscore the fact that America’s fight for independence is most fully comprehended as one of the first global struggles for power. Allison is senior scholar at the Smithsonian’s National Museum of American History. Ferreiro teaches history and engineering at George Mason University, Georgetown University and the Stevens Institute of Technology. He is the author of Brothers at Arms: American Independence and the Men of France and Spain Who Saved It, a finalist for the Pulitzer Prize.